If your home shows signs of foundation settlement of any kind, Total Foundation Solutions can help. We have a variety of warrantied foundation repair products that solve all types of settlement issues, including slab piers, push piers, and helical piers. Looking to get started on foundation repairs? Call us today at 814-208-9442 or click below to learn more about how we can help you with foundation pier installation. We offer free estimates in Edinboro, Erie, Warren and throughout the nearby areas. As part of the international Supportworks network, Total Foundation Solutions has access to the highest quality foundation products available. 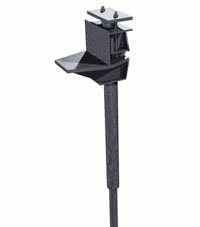 Our foundation piers have been engineered for minimal disturbance to your home and a fast, effective installation. Our foundation push piers are installed by one of our in-house crews of foundation professionals, who are fully trained through Supportworks, Inc. 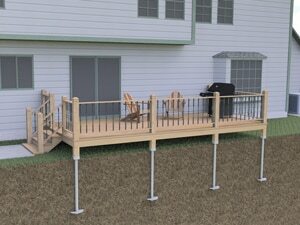 The standard practice of installing poured concrete piers for decks, porches, sunrooms and similar structures has caused plenty of frustration over the years. 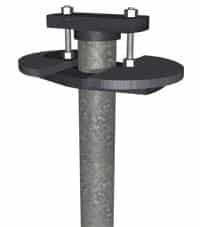 Poured concrete has more limited installation options, can't be easily corrected, and isn't as durable as steel piers. 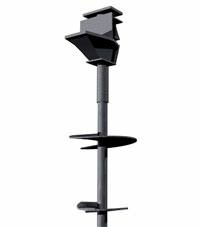 Helical deck piers are the best alternative to traditional methods because they are fast, effective, and can be installed any time. If you know there's something wrong with your foundation but aren't sure where to start, the experts at Total Foundation Solutions have got you covered. 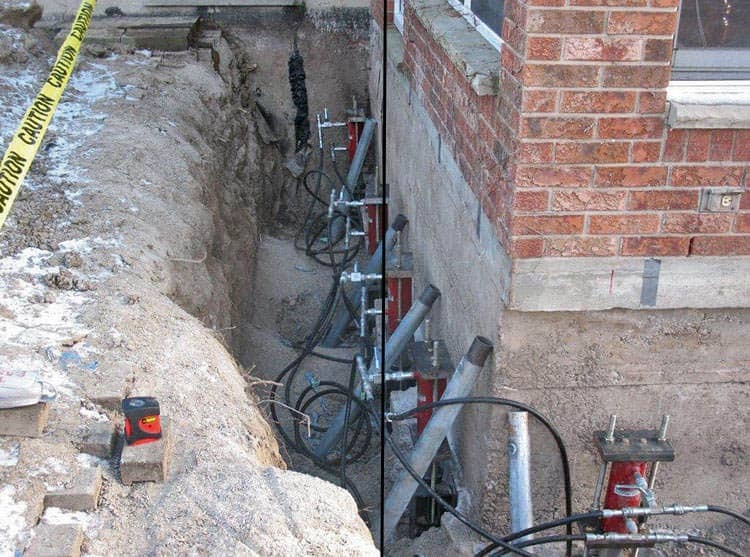 We'll quickly diagnose the problem and decide if a foundation pier system is right for you! Call us at 814-208-9442 or contact us online to get started on your foundation repair needs. We offer free estimates on all our foundation repair products in Edinboro, Erie, Warren, Meadville, Fredonia, Jamestown, Olean, Du Bois, Harborcreek, Hermitage and throughout the surrounding areas.